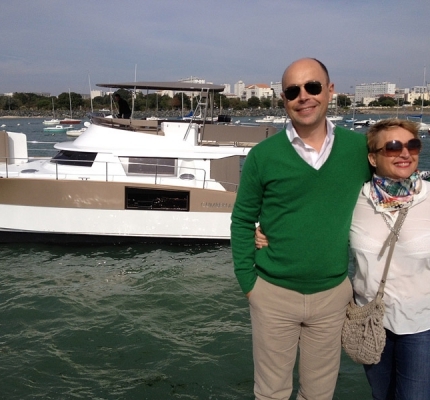 New Flagship owners, Bruno and Marie Bazoges have just bought a CUMBERLAND MY 47 LC. We helped them with their project and their choices, up until the handover. A look back on their delivery from La Rochelle to Barcelona. Why i choosed a Fountaine Pajot ! Testimonial of M. Biancheri, a SUMMERLAND MY 40 LC owner.